These models are low poly city buildings built for various games. They were built for filling large cities seen from a distance. 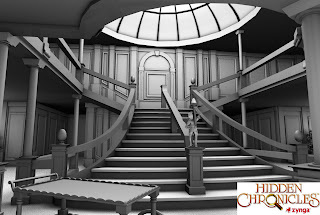 These models were all created for the game Hidden Chronicles by Zynga. All of them are rough, simplified models of the scenes for the game. They were created so that other artists could use this as a basis for creating the final scene in the game. I am a Senior VFX Artist at Zynga. I love games and love creating awesome artwork for the gaming industry.